… is a self-paced, guided learning experience that engages your leaders in critical learning and skill-building. 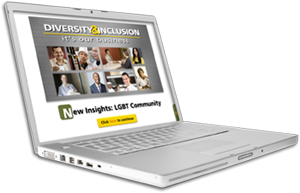 The six modules, approximately 20 minutes each, cover a broad range of diversity and inclusion topics. What do you do if someone you care about is the target of demeaning stereotypes? What if you are being demeaned or stereotyped? How often do you speak up on behalf of respect? “OUCH! That Stereotype Hurts Online Learning Experience” is a 30-minute individual, self-paced, guided eLearning program. Based on the ground-breaking OUCH! That Stereotype Hurts video, this powerful program enables learners to explore communication skills for promoting inclusion and respect in the workplace.